C1531. BRUNO MADERNA Cond. RAI S.O., Roma: Valses nobles et sentimentales; BRUNO MADERNA Cond. Süddeutsche Rundfunks S.O. 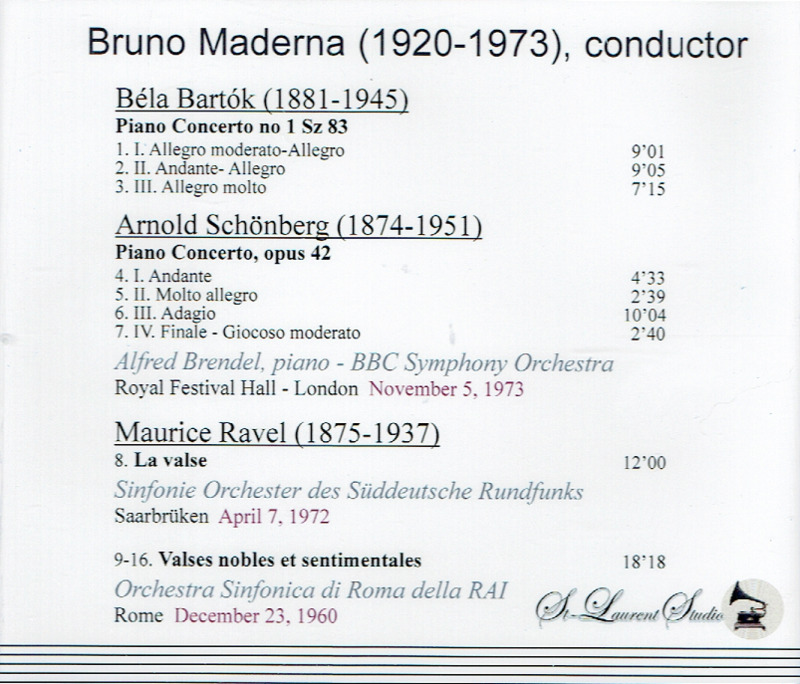 : La Valse (both Ravel); BRUNO MADERNA Cond. 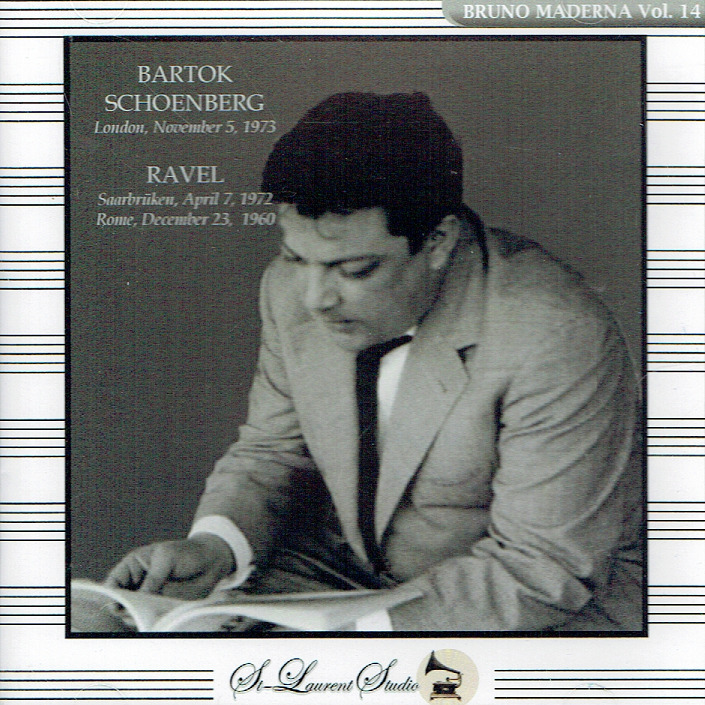 BBC S.O., w.ALFRED BRENDEL: Piano Concerto #1 (Bartók); Piano Concerto, Op.42 (Schönberg). (Canada) St Laurent Studio YSL T-468, Live Performances, 1960-73. Transfers by Yves St Laurent. 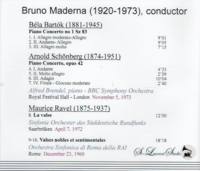 “Bruno Maderna, like his close friend and fellow avant garde composer Pierre Boulez, had in recent years become a conductor of international reputation. Since his debut here in 1970 conducting Mercadante's opera II GIURAMENTO at the Juilliard School, Mr. Maderna had led the New York Philharmonic, the Chicago Symphony, the Philadelphia Orchestra, the Boston Symphony and the Detroit Symphony. In Europe he had conducted widely, including the London Symphony, the B.B.C. Symphony and the Concertgebouw in Amsterdam. For the last two years of his life he was music director of the Italian Radio in Milan.